It is only prudent that before embarking on a financial activity, which involves money, you have to analyze the pros and cons, thoroughly. Creating a website for your proposed online business is one such proposition. This is a major decision in your life, which can make or break your overall financial status. First of all you have to find a web design company and web development company, who are experts in web design. 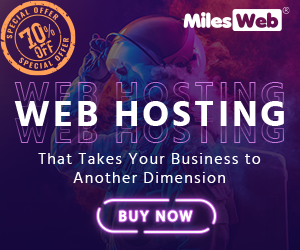 Based on this foundation, you need go further on the related tasks of web hosting, popularizing and promoting your website as also establishing your website as a trusted-one in the minds of targeted customers. Can all the above tasks be finished under one roof? Surely yes. If at all you select SPG Techsoft, you can feel completely relaxed. Contains every item and full details about your online activity, business, products, merchandises or services etc. You are able to control, manage and enhance the attraction of the website’s front, without third-party’s assistance. If your above wishes are fulfilled squarely, you will be the happiest website owner in the world. The seasoned web designers at SPG Techsoft, by virtue of their evolving and creating hundreds of attractive websites before (you can see for yourself from their Portfolio, where each website they have created will steal your heart by their breath-taking finish and design) know what to do. They will avoid clutter; use only eye-catching, elegant but simple graphics in their regular web design. Any visitor will be astonished by the beauty of your website design. This is a highly important aspect for today’s websites. See there are billions of Smart Phones with sophisticated web servers. If the web design is made with the old techniques, they cannot be accessed by these latest Smart Phones. Result is the loss is only that of the websites concerned. So Techsoft web designers will strive hard in coding and formatting the web design to make it accessible by all the web servers in the world. The website front will adjust in size automatically, to appear in every Smart Phone screen. You can cover global customers to visit your website easily, this way. SPG Techsoft’s exponent web developers will painstakingly build your website, inch by inch. They will integrate and implement appropriate web solutions available on Open Source, as per the needs of your website. They will 100% ensure perfect functionality and easy navigation all over the website, by their efficient programming. They will step into the shoes of your web visitors, check and cross-check the functions of your website. This will go a long way in satisfying your web visitors and make them very happy. Alongside, the experienced web developers will develop customized software solutions, including high-tech eCommerce website Solutions, for your website. In case exclusive Mobile Apps are needed, they will also be developed and provided, to make your website complete in all aspects of On Page SEO. By the latest and workable Off Page SEO and SMO tactics, your website will achieve high-ranks in all popular Search Engine Indices. This way, huge crowds of web visitors will flock your website, every day. The “happy customer experience” at your website by the functionality will transform visitors into buyers, then customers and then loyal customers, for your website. By effective web design and web development, and the aforesaid high-performance of your website, increased sales and growth of business are assured 100%. SPG Techsoft being down-to-earth web design company and web development company will make your website easily and effortlessly administered, monitored, controlled and managed day-today by you, even though you are not a computer technology-specialist. You will be pleasantly surprised by the Digital Marketing efforts of SPG Techsoft. No other web design company normally does this. By intelligent marketing of your web contents all over the Internet, your business and brand name is reminded continuously in the minds of your customers. Now you are fully convinced where to assign your web portal creation with confidence? SPG Techsoft – of course!